Rebecca received the BCS Committed to Caring Award for excellence in academic mentoring. CONGRATULATIONS!!! The lab says a sad farewell to Rania. Congratulations to Stefano for becoming a professor at Boston College! The lab welcomes our new post-doc Ashley Thomas! The lab says a sad farewell to Lyneé and A.J. Sarah was born! Congratulations Lindsey! The lab welcomes new Lab Manager Ben! The lab welcomes our new post-doc Marika Landau-Wells! CONGRATULATIONS to Dr. Hilary Richardson for successfully defending her brilliant thesis! Rebecca was a keynote tweeter for the Brain Twitter Conference! The lab welcomes our new graduate student Halie Olson! The lab welcomes research assistant Rania! Congratulations to Lindsey on the acceptance of the lab's first NIRS paper! available here. The lab says a sad farewell to Dorit. Heather changes roles from lab manager to graduate student! The lab welcomes back Livia as a post doc! Hilary's first first-authored paper accepted for publication! available here. Congratulations to Lab Manager Lynee on her engagement! The lab says a sad farewell to summer students Sam and Serena. Rebecca taught the course Social and Cognitive Neuroscience of Thought at the Neuroscience School of Advanced Studies in Italy. Baby Thompson was born! Congratulations Todd! Thinking about what others believe is hard work is a Science article that features Lindsey and her work with Susan Carey on the development of Theory of Mind and Executive Function. Rebecca received the BCS Award for Excellence in Undergraduate Teaching and the BCS Award for Excellence in Graduate Mentoring. CONGRATULATIONS!! Dorit's work on Autism has been featured in a Spectrum Podcast. The lab says a sad farewell to Jane and Alexa. Rebecca was featured on an segment of Daily Planet talking about the infant brain. Hilary was awarded the Whitaker Health Sciences Fund Fellowship. Congratulations!!! The lab says a sad farewell to Patricia and welcomes Jane. A.J. and Heather travelled to DC to engage kids with current research at an MIT Connection Event. The Saxelab hosted a Science Saturday for kids at the MIT Museum! Check out the pictures in the Lab Photo Album. Quanta Magazine and MIT news featured the Saxelab's infant neuroscience research, multiyear project that was published in Nature Communications. Peering into the Infant Mind, the feature story in the December issue of the MIT McGovern Institute quarterly newsletter, discussed the infant neuroimaging research in the Saxelab. Todd has joined us as a Scientist! Yay!! Rebecca's talk on Human Brain Development at the MIT Club of Boston was sold out! A sad farewell to Tyler who is leaving MIT to join Stanford in the fall where he will begin graduate school. CONGRATULATIONS!! The Saxe Lab celebrated its TEN Year Anniverssary with hiking and celebrity in Franconia, NH! Congratulations to Grace, she is leaving us to start graduate school at Indiana University!! The Saxe Lab completed a week-long fMRI bootcamp taught by Rebecca that culminated in a trip to Whale Cove! The Saxe Lab welcomed new Lab Manager and Pediatric Coordinater Lyneé! Watch Baby Brains: Unlocking Our Humanity, a TEDx Cambridge talk by Rebecca. Tyler was awarded an NSF Fellowship! Congratulations! The Center for Brains, Minds, and Machines released a new video about the CBMM summer research program. Rebecca and lab manager, Heather, are featured. Congratulations to Lindsey! Lindsey was honored with the 2015 Infinite Kilometer Award for routinely exceeding expectations and her outstanding contributions to the MIT research community. CONGRATULATIONS to Dr. Ben Deen for successfully defending his brilliant thesis! A mother and her son, a new image captured using MR technology by Rebecca was published in Smithsonian Magazine. Hilary and Rebecca host a preconference on Early development, conceptual change, and continuity: Insights from cognitive neuroscience at the biennial Cognitive Development Society conference in Columbus, Ohio. Saxelab made our Theory of Mind Group Maps publically available in addition to the already available Saxelab stimuli sets and Theory of Mind Localizer on our website. Multiple news outlets cover Marina and Hilary's paper including MIT news, The Guardian, Neuroscience news, John Hopkins, and Lab News. The lab bids a sad farewell to Nir, who is starting graduate school at Columbia! Watch Rebecca at Smithsonian Magazine's 2015 Future Is Here Festival. CONGRATULATIONS to Rebecca on her promotion to Professor of Cognitive Neuroscience! Rebecca appears in The Twilight Zone: BCS Edition at MIT. CONGRATULATIONS to Dr Amy Skerry for successfully defending her awesome thesis! The Lab welcomes our new lab manager, Heather Kosakowski. Hilary won the Angus MacDonald Award for Excellence in Undergraduate Teaching. Rebecca won the Arthur C. Smith Award for her service to the undergraduate population of MIT. Emile featured in New York Times Magazine article. Congratulations to Dorit for winning the Cognitive Neuropsychology Student Travel Prize. Listen to Rebecca and Nancy Kanwisher in NPR's TED radio hour. The lab succesfully managed to sing a German birthday song in a round for two lab members' birthday. CONGRATULATIONS to Dr Jorie Koster-Hale for successfully defending her awesome thesis! The lab bids a sad farewell to Julianne, who is starting grad school in U chicago, and Hyo, who is starting her own lab in Stanford! The Lab welcomes our new lab manager, Grace Lisandrelli. Congratulations to Mina on her new position at Harvard! Hilary and Jorie both won the Angus MacDonald Award for Excellence in Undergraduate Teaching. 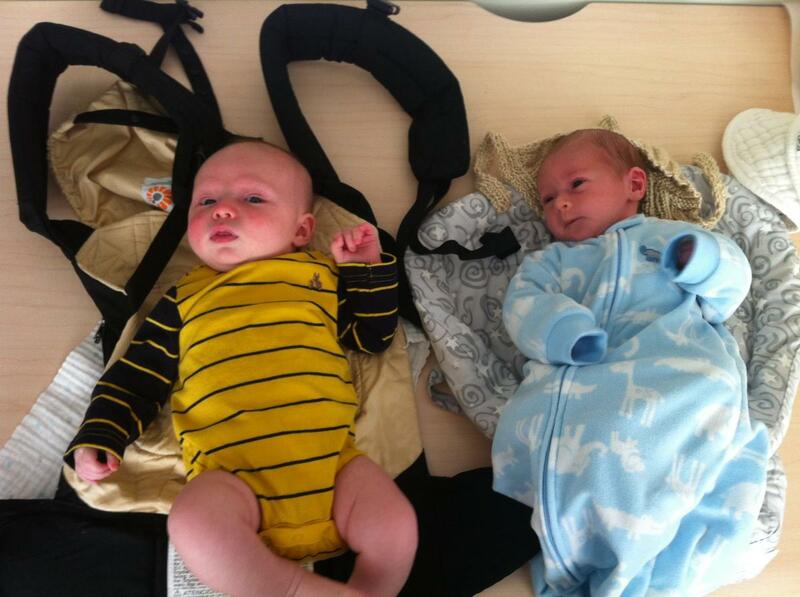 Saxe lab assigns a desk to its two newest members. The lab welcomes our new post-docs Lindsey Powell and Dorit Kliemann. The lab bids a sad farewell to Nick, who is starting grad school at Stanford, and Adele, who is moving to the center of power in DC. Swetha's first first-authored paper accepted for publication! available here. Nick's first first-authored paper accepted for publication! available here. The Lab welcomes our new lab manager, Nir Jacoby. The Lab bids a sad farewell to Marina, starting as an Assistant Professor at Johns Hopkins, and Swetha, starting medical school at Yale University. The lab celebrates Hyo's many job offers! Congratulations to Swetha for being accepted into the Yale School of Medicine! Jorie publishes her first PNAS paper, available here. The SaxeLab goes to Quebec on a dogsledding expedition! See the photos here! Hyo's first Neuroimaging paper is published! Rebecca talks about her and Emile's work on conflict resolution in Scientific American. Swetha is featured in MIT's "The Tech" playing a Saraswati veena for Diwali Night celebrations! The lab attends CogSci 2012 in Sapporo, Japan! Congratulations to Marina for accepting a job at Johns Hopkins University! Hilary changes role from pediatric fMRI coordinator to graduate student. Hyo successfully defends her thesis, and is now officially Dr. Gweon! (and remains in the lab as a post-doc). The lab bids farewell to Mina, who is off to Carnegie-Mellon University to begin her tenure-track teaching position, as well as undergraduate student Hannah. The lab welcomes newest members Julianne Herts (joining us as co-lab manager / pediatric fMRI coordinator) and Adele Luta (as technical assistant)! The lab goes on a canoeing adventure on the Charles River! Rebecca is awarded an R01 grant by the NIH! Rebecca is named a Young Global Leader by the World Economic Forum! Press release here. Emile publishes in the Journal of Experimental Social Psychology. Read the paper here, and the news releases here. Mina gives three talks in a mere three days! Emile is awarded a DARPA grant! Four Saxelab members submit papers and five submit abstracts to CogSci. 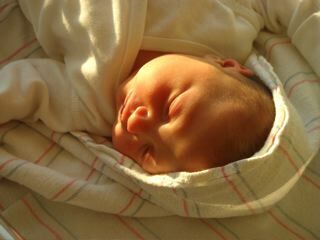 The Saxelab welcomes its newest member, Clara Madrone Bruneau! 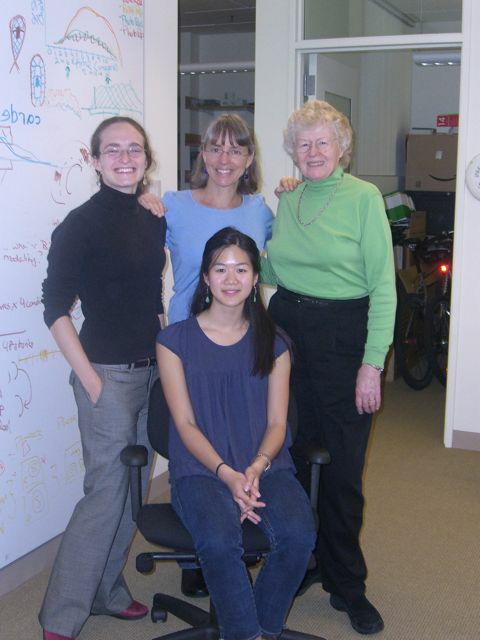 Tao gets a grant to fund research in Saxelab and Tennebaum Lab! Marina gets a grant funded and a paper accepted within 24 hours! The lab welcomes newest member Alex Paunov. The lab embarked on their second three-day hiking trip in Franconia Notch State Park. Liane awarded the Early Career Award for Distinguished Scientific Contributions to Social Neuroscience by the Society for Social Neuroscience. Hyo's first fMRI paper is accepted for publication. Congratulations to Mina for getting an NRSA from the NIH, and accepting a tenure-track position at Carnegie Mellon University! 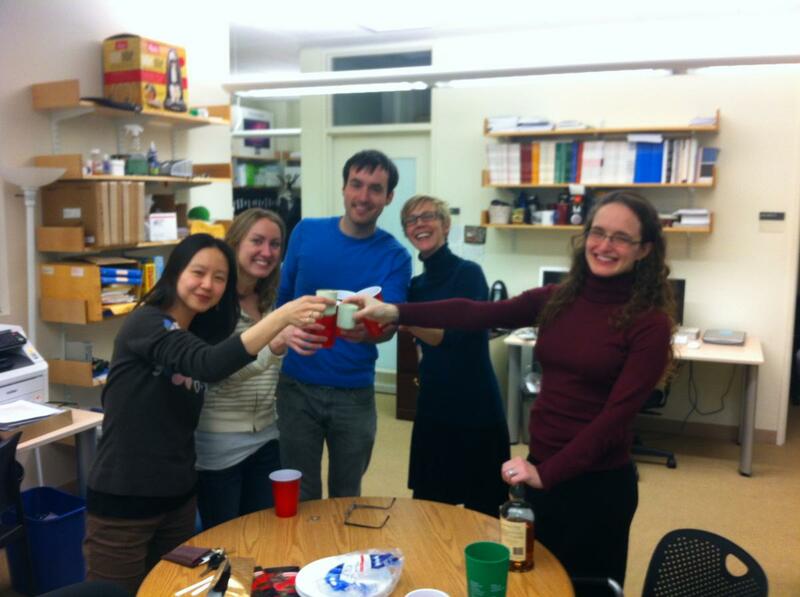 The lab bids farewell to Liane, who is starting a tenure-track job at Boston College. The lab bids farewell to James, who is starting graduate school at Boston College. Rebecca is awarded tenure at MIT. Hyo publishes a paper in science. Read about Marina's reasearch on language in the visual cortex of the blind here, here, here, and here! Liane's work on the TMS, morality, and the rTPJ is featured on the Feb. 2 episode of NOVA's scienceNOW. The lab welcomes new post-doc Mina, joining us from Hasson Lab at Princeton. The Saxe Lab's optimized ToM localizer is now available for download. Liane's study on moral reasoning with TMS is ranked on of Discover Magazine's top 100 stories of 2010. The lab embarked on a trip to San Fransisco to talk science and present data. A paper gets accepted which is: David's 1st first-authored paper, Jorie's 1st fMRI paper, Marina's 1st third-authored paper, and Rebecca's 40th peer-reviewed paper. The lab bids farewell to Elizabeth, who is leaving to accept an Assistant Professor position at The University of Maryland. Marina starts scanning the brains of blind kids! Read about Marina's latest paper on blind adults here. After 12 months of making, piloting, and re-making stimuli, Swetha finally gets to run her experiment in the fMRI. The lab welcomes new graduate student Ben Deen to the lab. Elizabeth Redcay gets a tenure-track job at Maryland! Rebecca Saxe featured in PBS's The Human Spark. Hear Liane Young talk about our latest study, on changing people's moral judgments by stimulating their RTPJ. Or read more at BBC and MIT News. Liane Young gets a tenure-track job at Boston College, and gets three papers accepted for publication on split-brain patients, ventro-medial prefrontal cortex lesion patients, and TMS! Rebecca speaks at the World Economic Forum, in Davos. Elizabeth Redcay and David Dodell-Feder have their first Saxelab paper accepted for publication. The Saxelab is joined by visiting student Agnieszka Pluta. Rebecca Saxe gives a TED Talk on how we read each other's minds. Marina's first paper on blind adults gets published: Language may be key to Theory of Mind. Emile leaves for Palestine to study conflict resolution. David and Liane find awesome new food truck by MIT medical. The Saxelab is joined by new technical assistant Alek Chakroff. Rebecca Saxe interview by Simons Foundation Autism Research Initiative: Fine Tuning the Theory of Mind. Rebecca Saxe interviewed for Discover magazine in Unlocking Secrets and Powers of the Brain. Rebecca Saxe named one of Popular Science's 'Brilliant Ten' and featured in article The Infant's Philosopher. Rebecca Saxe quoted in New York Times article Gut Instinct's Surprising Role in Math. Rebecca Saxe featured in New York Times article Of Mice and Women. Dorit Kliemann's first paper accepted for publication: Influence of prior record on moral judgement. The Saxelab is joined by its newest and youngest member, Maya Ellenbogen. Liane Young granted her PhD. Rebecca Saxe awarded the 2008 Young Investigator Award at the 2008 CNS meeting. NOVA program, Ape Genius, features commentary by Rebecca Saxe on Mindreading and Shared Goals. Rebecca Saxe featured along with Nancy Kanwisher, Eric Kandel and Liz Phelps on Charlie Rose's From Freud to the mysteries of the human brain. Rebecca Saxe invited to New York Academy of Science New Vistas Series, hosted by Steve Pinker. See a clip of Rebecca talking about our research here.